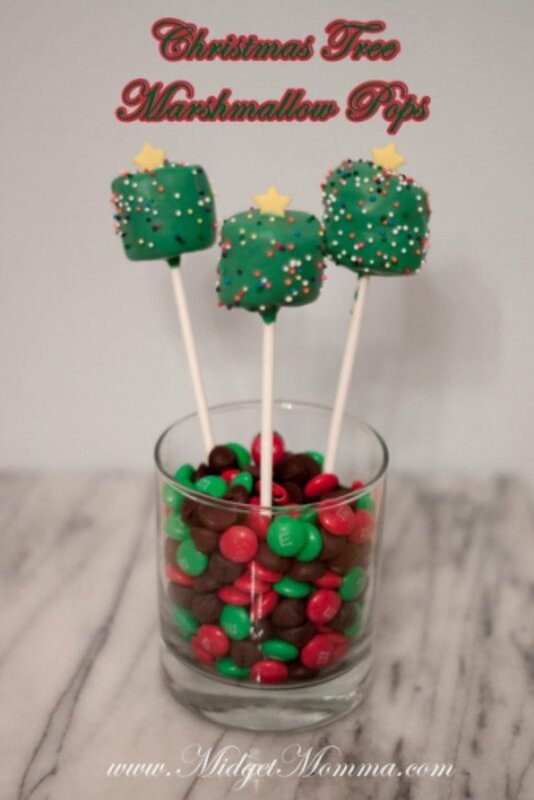 If you are looking for a super cute Christmas treat then you are going to LOVE these Christmas Tree Marshmallow Pops! 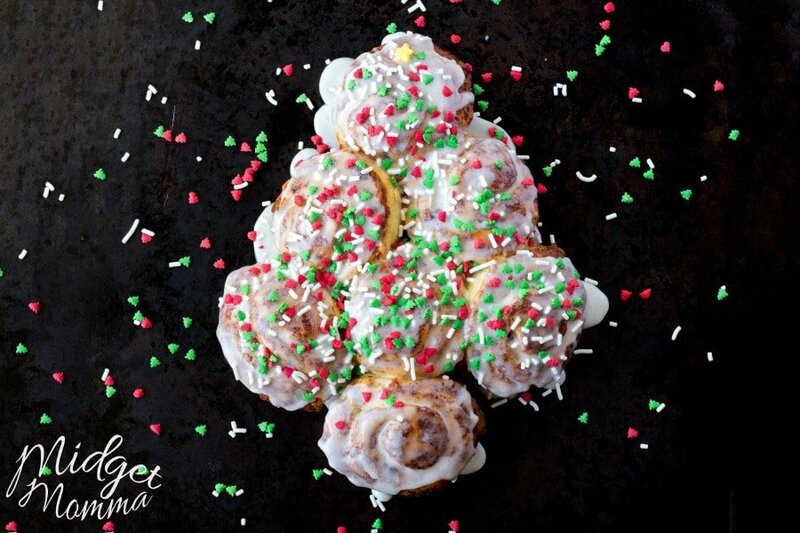 These Christmas marshmallows look like little Christmas trees and are super cute! Personally I love making Christmas marshmallows and turning them into pops because they are the perfect Christmas treat for kids! 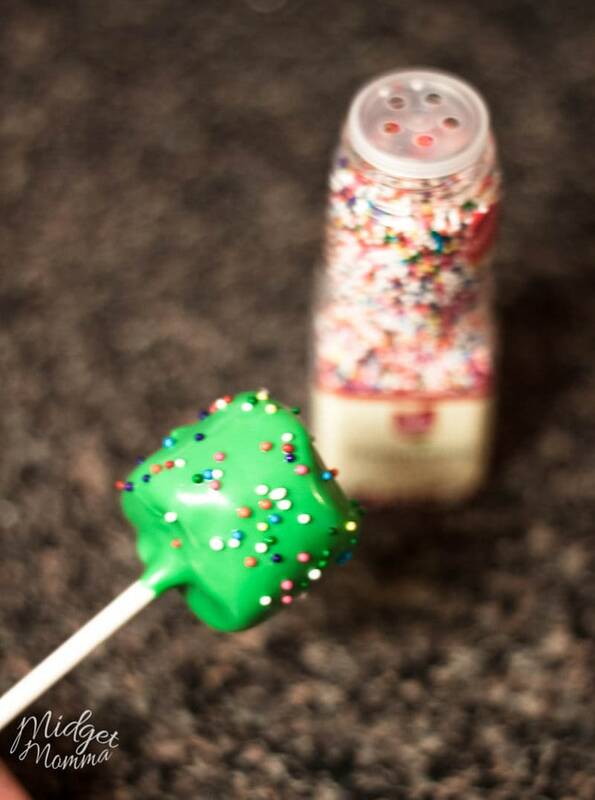 You have a few options when it comes to the sprinkle choices for these Christmas marshmallows, you can do the regular rainbow color nonpareil’s to look like calling lights or you can do the white nonpareil’s to look like white lights. It all depends on my mood which color sprinkles I use. The jumbo stars on top of the marshmallows might be a little on the tricky sanctify you can find them on Amazon or at a local craft store. Most grocery stores carry the little flower sprinkles that you can substitute for the star if you would like. Melt the chocolate candy melts in a microwave or double boiler according to package directions until they are fully melted. 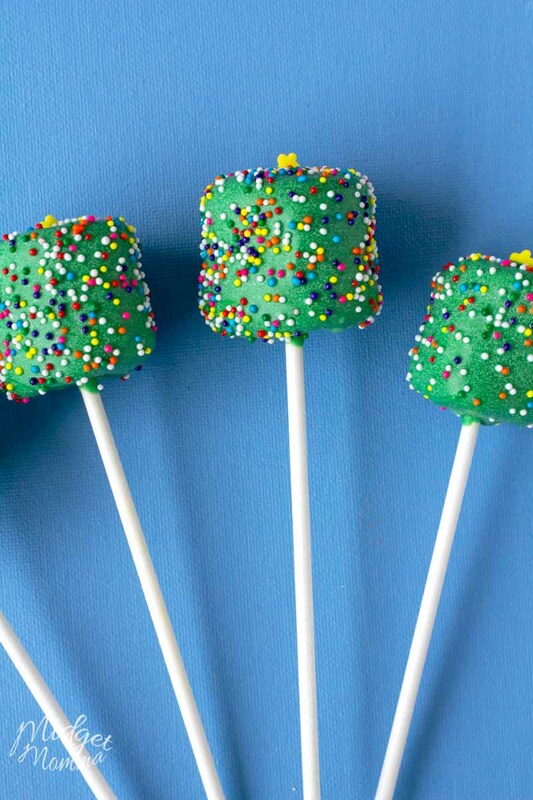 Dip the lollipop sticks into the chocolate and then into the marshmallow. 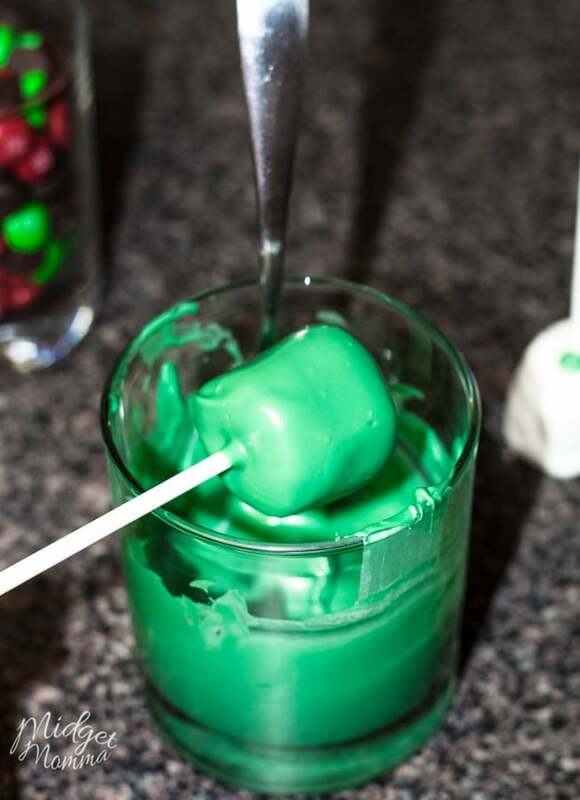 Then dip the marshmallows into the melted candy, turning to cover them completely. Tap the stick on the edge of the container to get of the extra chocolate. Sprinkle with the sprinkle of your choose. 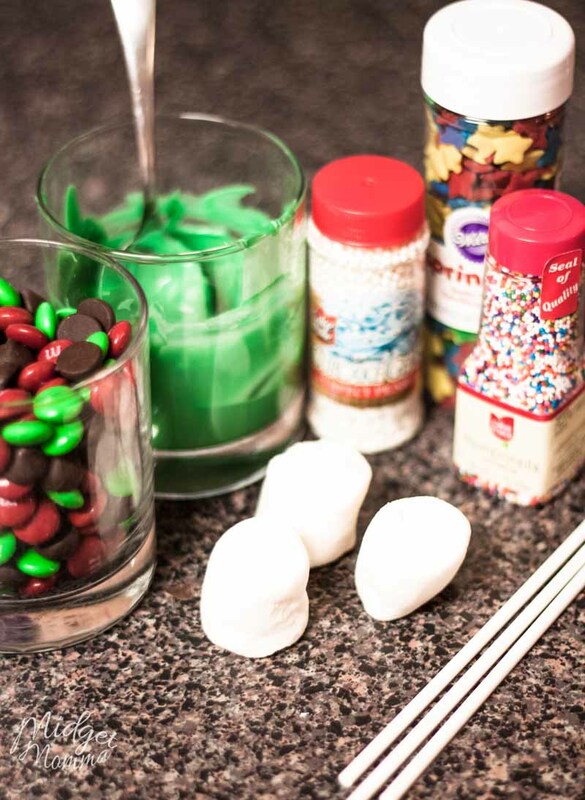 Stand the marshmallows upright in a glass filled with uncooked rice or beans. Put the glass in the fridge until the chocolate has cooled and hardened slightly, about 5 minutes. 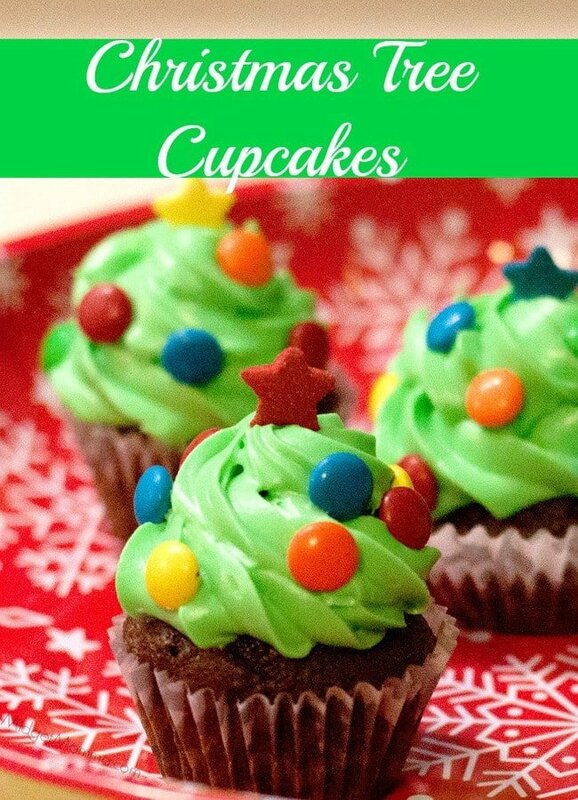 More Tasty Holiday Recipe you will Love! 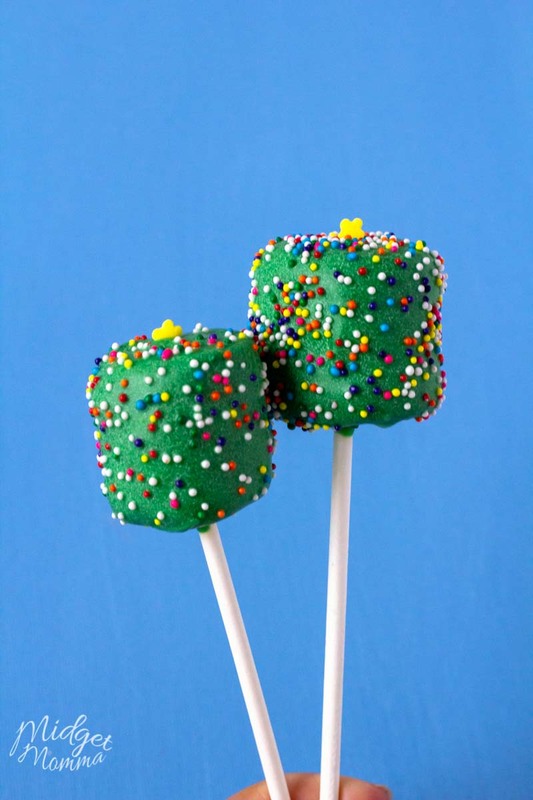 These marshmallow pops would be perfect for the kids to make when they are on Christmas break—-Looks delicious! These are so cute, would be fun and easy to make with the kids too! Yum. 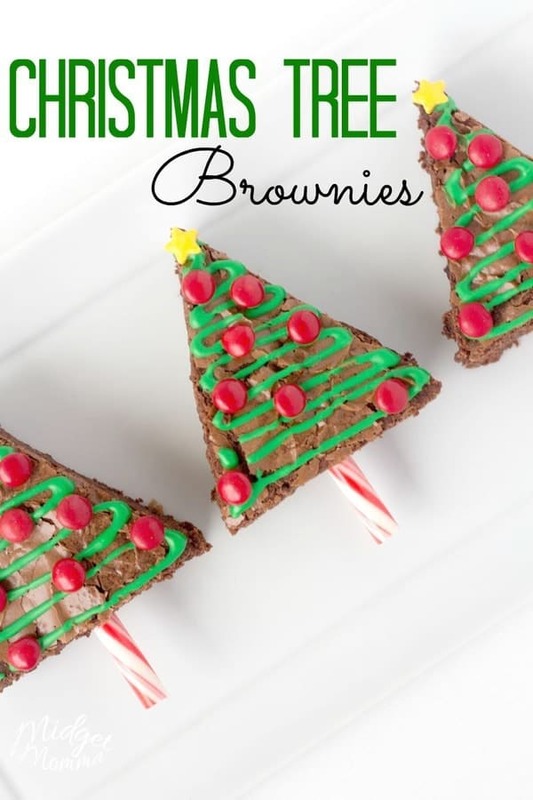 These look good and fun to make. 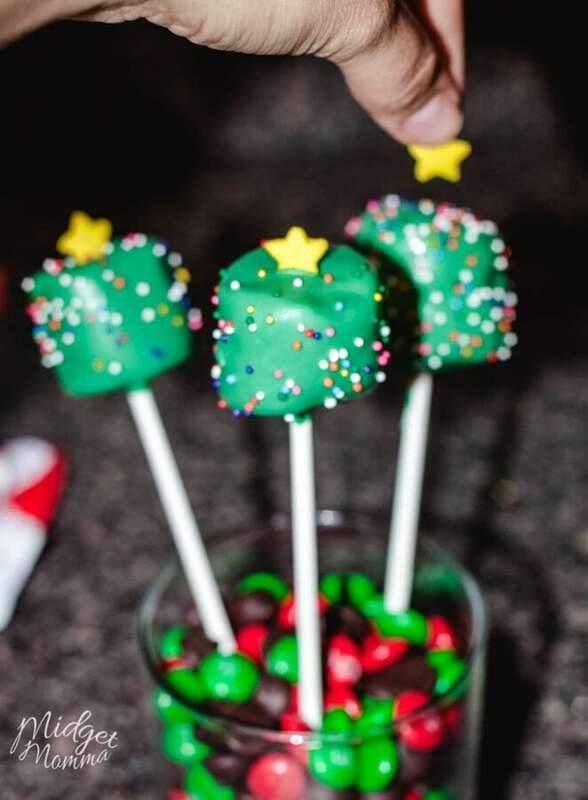 Great Christmas Tree Marshmallow Pops! Thanks so much for sharing with Full Plate Thursday and hope you stay warm and cozy on this cold day. 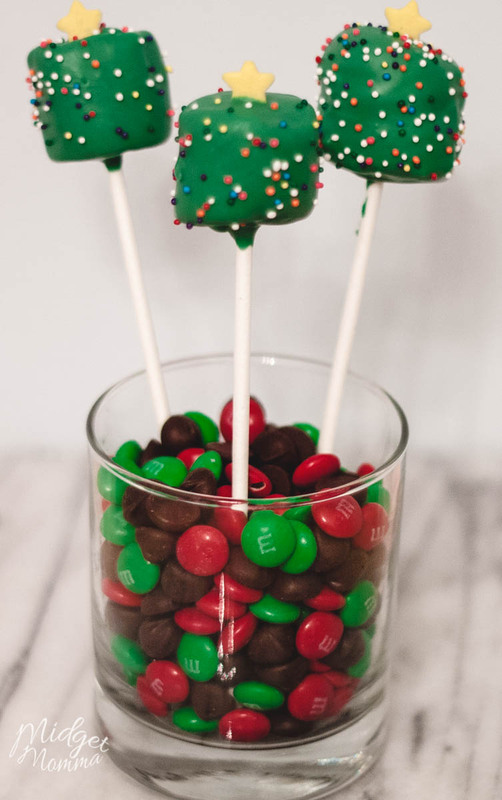 How long would you keep these treats before disposing of the leftovers?